Oracle Cloud Success- When Oracle rolled out its Autonomous Database earlier this year, Executive Chairman and CTO Larry Ellison thought the biggest selling point would be that it eliminates the cost of human labor to patch, tune, upgrade, and secure the database. Another big selling point was that it eliminates human errors, since all of that work happens automatically. Those advantages have proved to be highly valuable to customers. But the biggest selling point for Oracle’s Autonomous Database, Ellison said, has been the speed of deployment and the boon to productivity, since companies can get their developers to work on new ideas so much faster. Ellison re-emphasized on the call that two strategic initiatives would determine Oracle’s success: the cloud-based Oracle Autonomous Database and its two cloud-based enterprise resource planning suites, comprising financial, procurement, production planning, and other core applications. Oracle has nearly 6,000 customers of its Oracle ERP Cloud suite and more than 16,000 of its Oracle NetSuite cloud suite. Oracle’s been adding about 1,000 cloud ERP customers a quarter, Ellison said, thanks to its technology leadership. CEO Mark Hurd said those two cloud ERP businesses delivered a combined revenue growth rate of 34% in the second quarter. With Oracle’s Autonomous Database, which brings new “self-driving” capabilities to the market-leading Oracle Database, Oracle has “the largest technology lead we have ever enjoyed over our database competitors since we entered the database market almost four decades ago,” Ellison said. Ellison and Hurd each pointed to independent analyst reports rating Oracle’s technology leadership in cloud ERP and cloud databases. Hurd also noted that ERP cloud sales tend to lead to sales of complementary human capital management and other Oracle cloud applications. 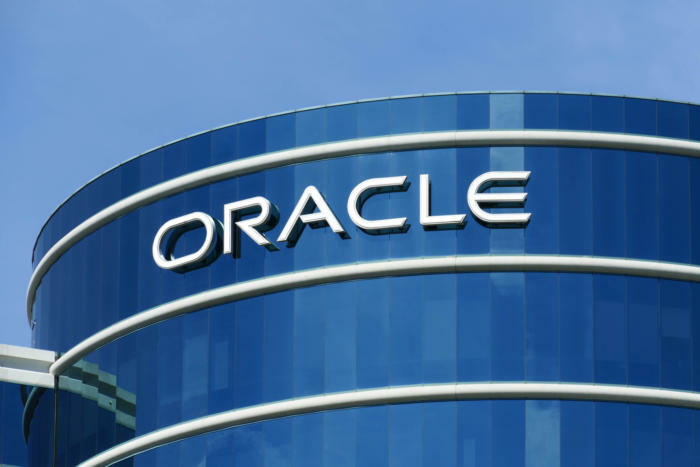 He cited MGM Resorts, Hormel, and Securitas among Oracle’s second-quarter cloud ERP wins that also included the broader cloud suite. Commenting on Oracle’s database business, Ellison said Oracle has long had the most advanced technology and that the business has continued to grow steadily. But it’s only this year that Oracle has started delivering its database on a new, Generation 2 cloud infrastructure. Its performance is spurring customers to move their on-premises databases to the cloud at large scale. “Millions of Oracle Databases will move to the Oracle Cloud,” he said. In terms of the broader financial results, Oracle reported that operating income for its fiscal 2019 second quarter ended November 30 rose 2% from the year-earlier quarter, to $3.1 billion, on unchanged total revenue of $9.6 billion. Oracle’s cloud services and license support revenues, plus cloud license and on-premises license revenues, were up 1% to $7.9 billion. Operating cash flow increased 5% to $15.2 billion during the trailing 12 months.